Hello everyone! New Years resolutions list today. Hooray! I didn’t have a list last year and this is what happened. 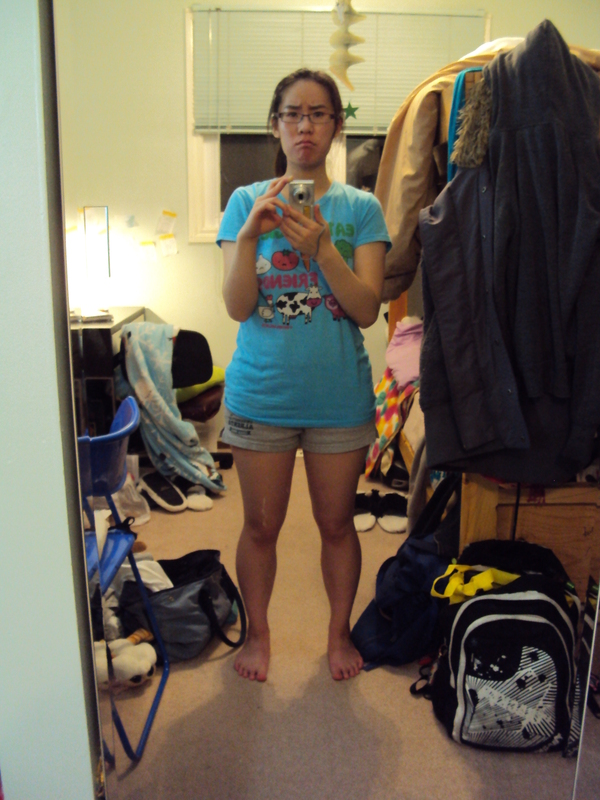 I got CHUBBY!! OMG! This is a result of not exercising and eating fatty foods practically everyday including fast foods, cookies, chocolate, chips, soft drinks etc. 1. Cut back on the fatty foods and exercise a bit more everyday. To do that I will plan to have only one (note ONE) fatty snack a week (that means no more buying snacks everyday) and if I have bought a bigger fatty snack I will share amongst my brother and sister. For exercise, I will enroll in an exercise class and attempt to at least exercise for about 10 mins a day and take the stairs on a daily basis. I am sure that I have enough beauty products to last someone a lifetime especially makeup so I am putting myself on a no-buy (except for limited edition products can’t say no to that) and also having a strict budget when it comes to purchasing beauty products. My personal finances are such a mess this year due to me finally getting a job. So with the extra income I feel compelled to spend therefore in order to stop this I will keep track of all expenditures and hopefully the Finance class I will be taking next year will help me control my spending habits. I want to become more educated and why not use my extra time to read more and perhaps learn more languages. Well I think that’s it for me. What are your New Years Resolutions? Hello everyone! A Christmas haul/gift showing. Hope you all are having a great day and what did you get for Christmas? A bunch of True Blue Spa, gift sets, candy, books, socks (of course) and a Lush gift box not present. Hello everyone! Just wanted to wish you all a Merry Christmas and Happy Holidays. I hope that you have a great holiday and enjoy great food and company. 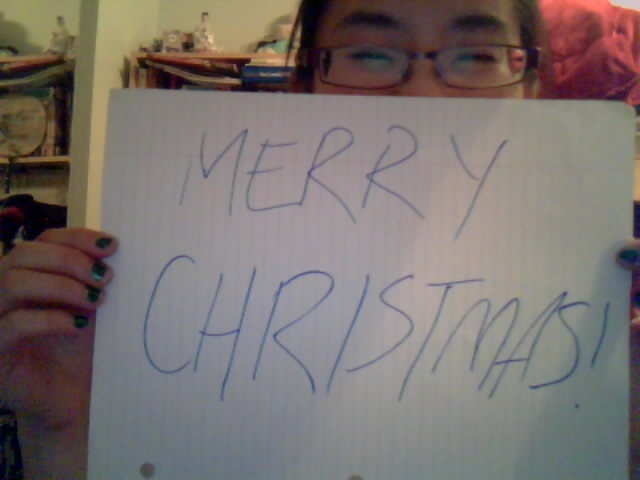 All that I will be posting tomorrow is what I got for Christmas (please don’t think that I am bragging). Hello everyone! A True Blue Spa product review today. I got a bunch of these as my sister works at Bath and Body Works but I don’t get her employee discount I only get upcoming deals (lol). 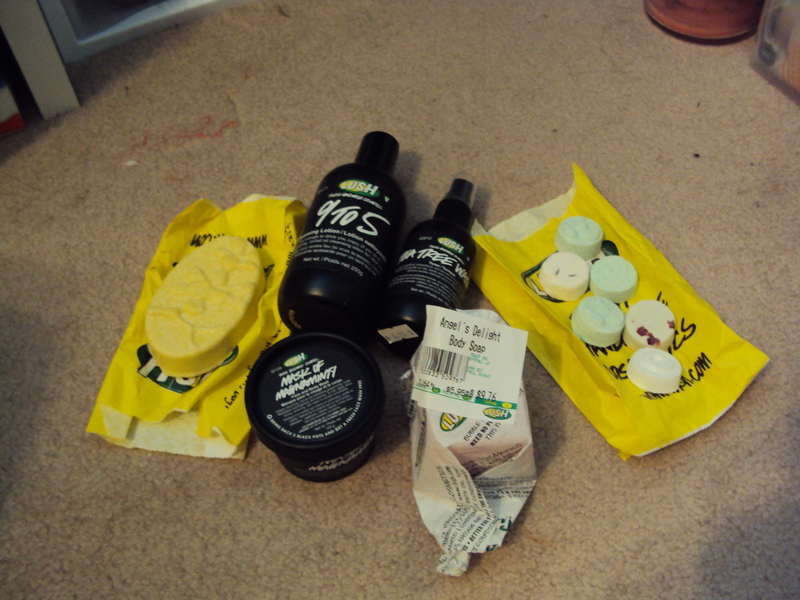 So these were all again bought with my own money. 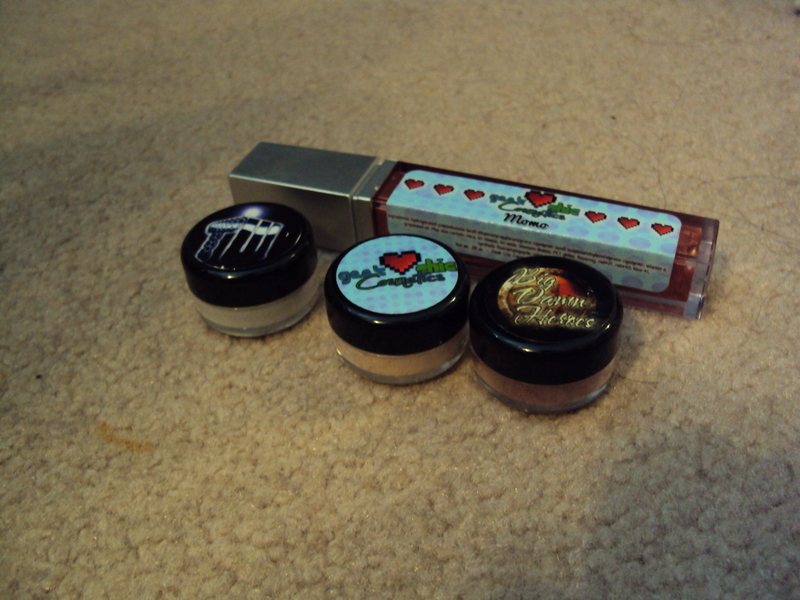 True Blue Spa items usually has a Buy 2 Get 1 Free deal so I took advantage of that. Description: A renewing face mask to help your skin look it’s best promising supple, smoother skin as well as a polished complexion. 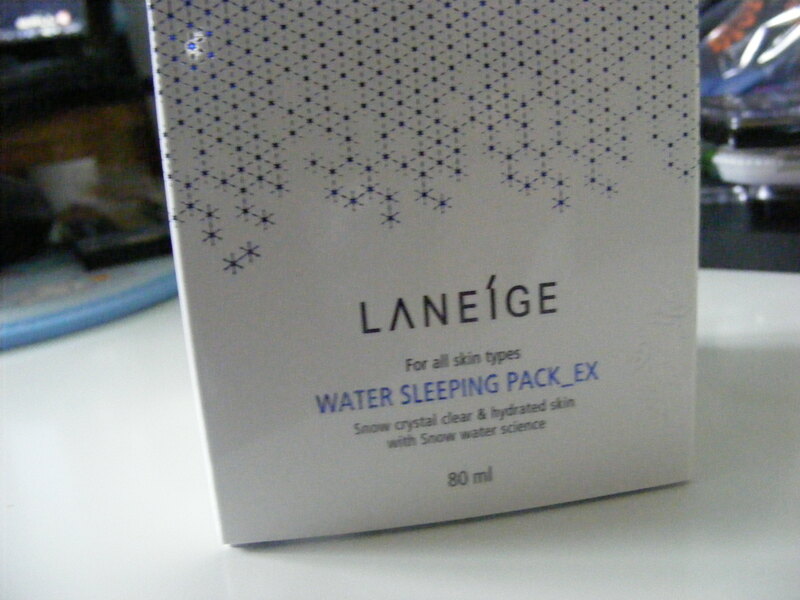 Review: I love the scent of this product. It smells just like pumpkin pie with a sweetness to it. It just smells absolutely awesome. 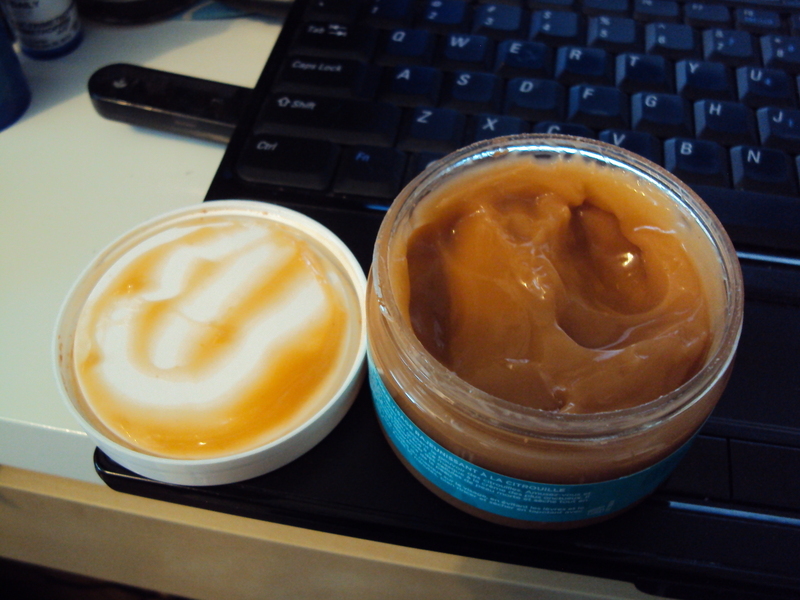 It is a creamy texture and spread easily over the skin. The effects of the mask isn’t much… it wasn’t what I was expecting it to be. I am young so I wasn’t expecting much from the supple area but for polished complexion not much. It isn’t much of an exfoliating mask even though pumpkins have enzymes that can help exfoliate the skin. I do notice the smoother skin though I’m still debating if it’s me washing off the mask or the mask effect itself. The packaging is nice as well it has a spill cap (I think that’s what it’s called) to prevent it from being leaked or contaminated by air bacteria. Overall, a mask with a really good scent and I’m very glad that I have a back up of this even if I use it just for the scent. Would I recommend this product? Yes! I already have a back up at the bottom of my mask drawer so pick it up if you can. Hello everyone! 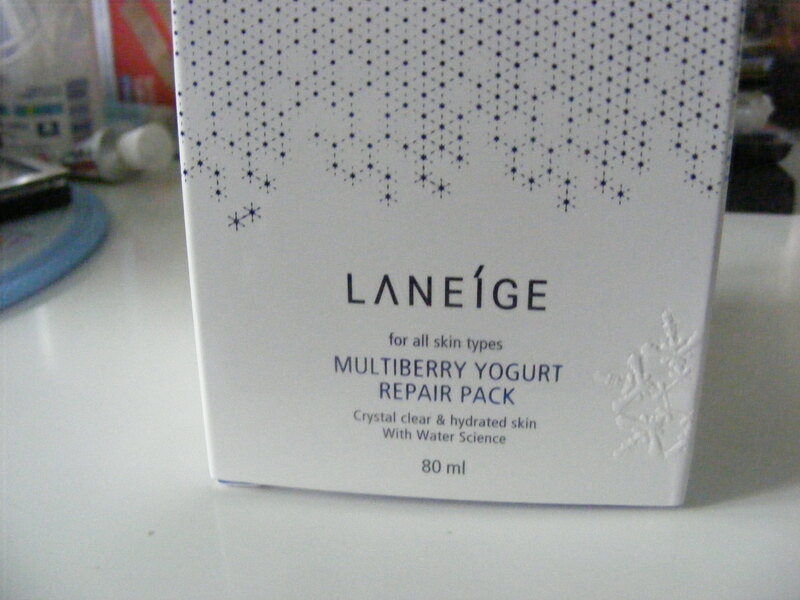 Another Laneige face mask this time the Multiberry one. 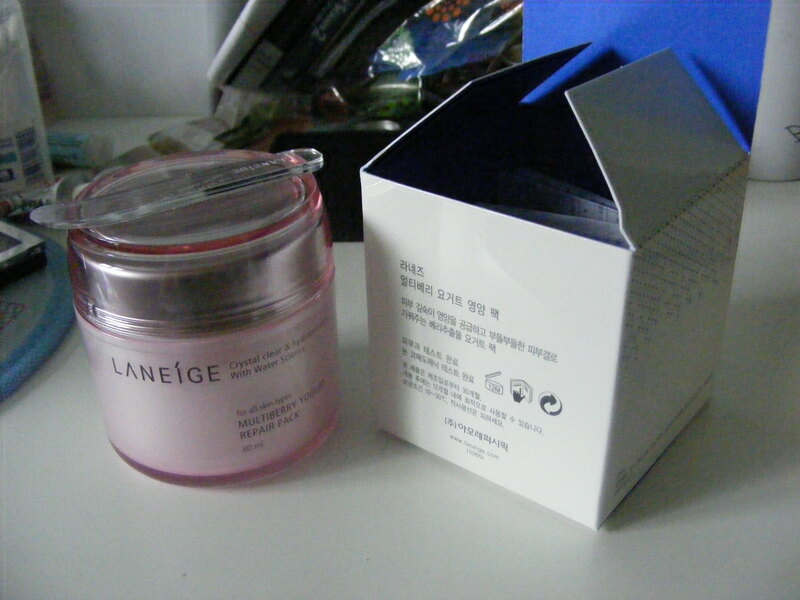 Description: A repair mask that you wash off your face for a plump moisturized skin. 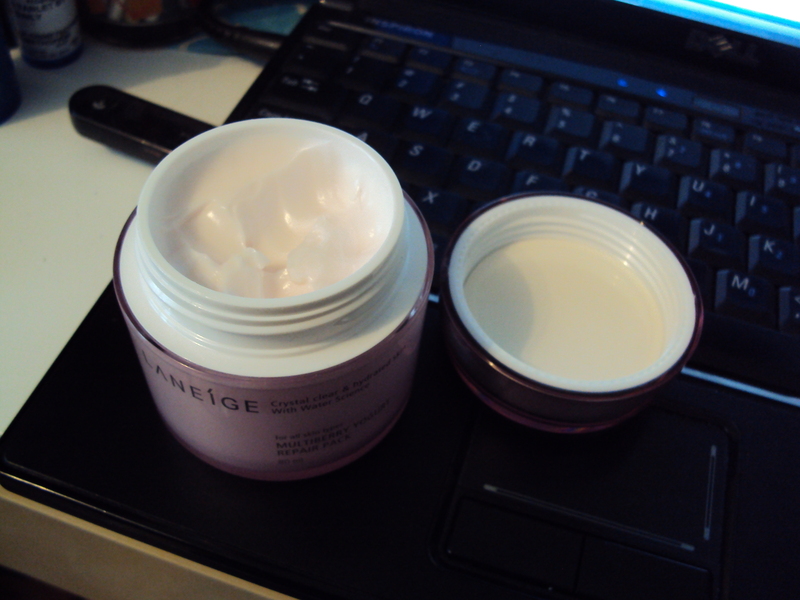 With a scent of berry yogurt this is the perfect treat for your skin. 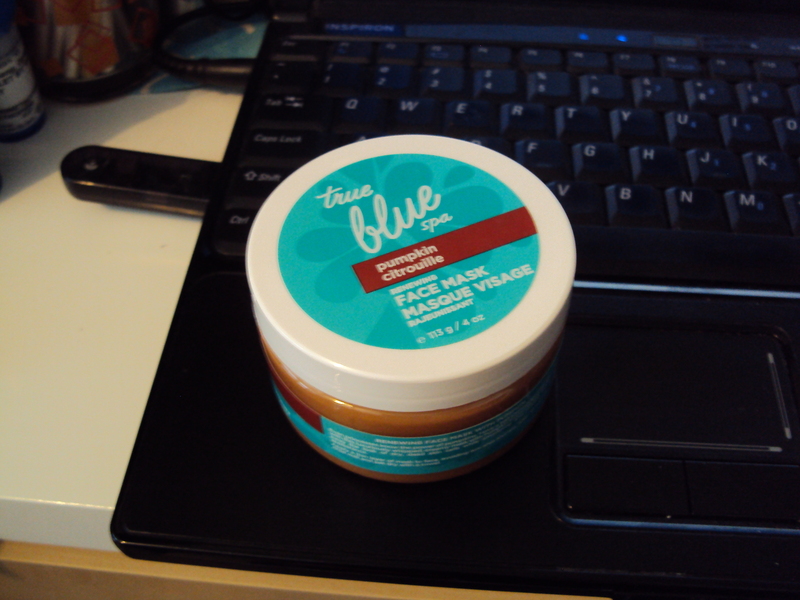 Review: I really like this face mask mainly due to the scent. It has a yogurt berry scent that makes it quite delicious smelling. It came with a spatula to scoop out so you don’t contaminate anything with your germy hands. 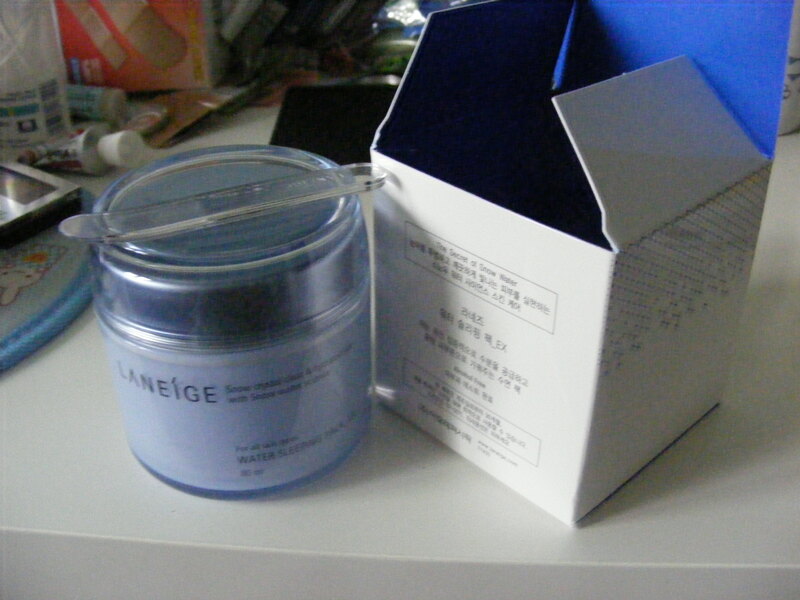 The mask is creamy and when you put it on your skin it doesn’t feel like you have anything on it. Though when you take the mask off my skin looked… shiny as in clean shiny. As for the effects of the mask I have to say that I felt nothing… yes nothing in my skin changed. It felt great on the skin like it wasn’t there but I didn’t feel like it was doing much for my skin. Perhaps my skin felt plumper but that’s how it always feels after I use my Clarasonic Mia. This mask is pretty disappointing and due to the high cost of it I wouldn’t purchase it again. Would I recommend this product? 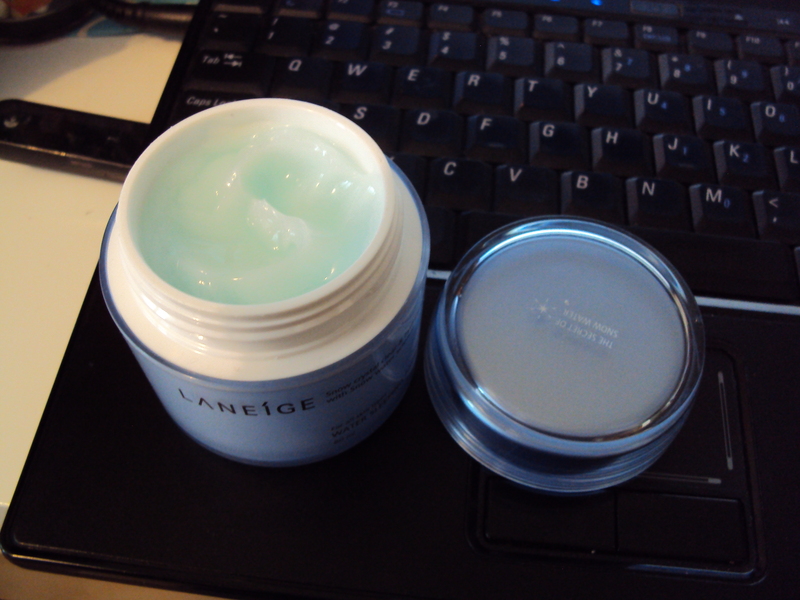 I would for those who are curious to try it but it really isn’t a product that you NEED to have. It’s just a nice treat for the skin from time to time.